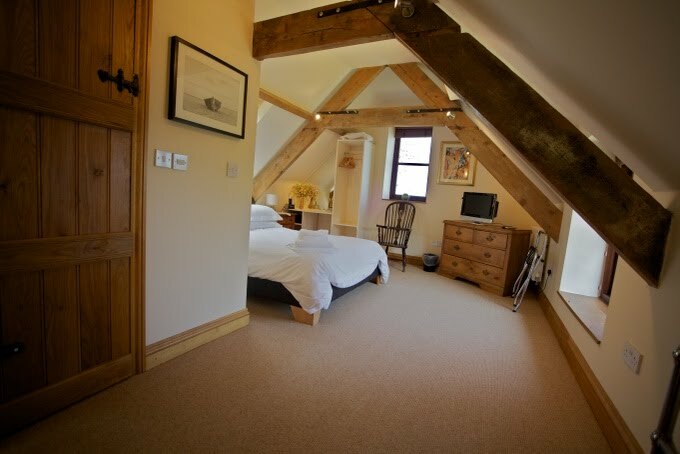 The Coach House is ideal for couples seeking a cosy, romantic getaway and is the ideal combination of modern style and traditional charm. 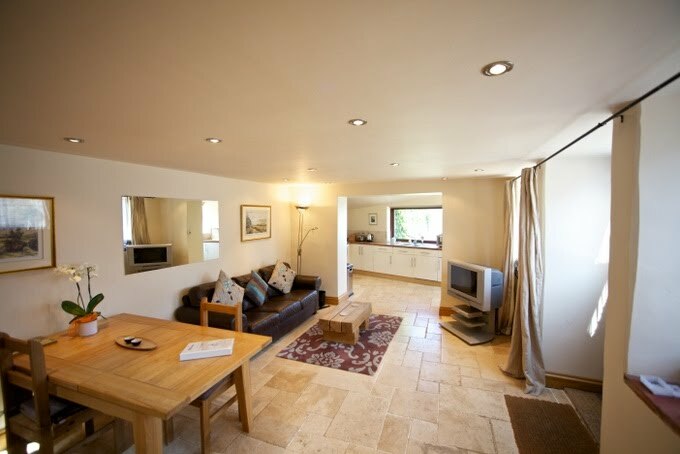 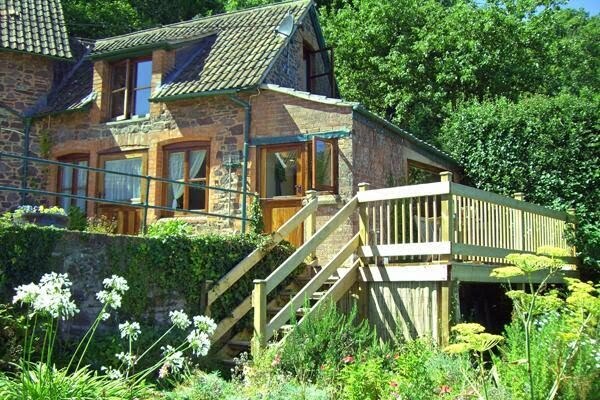 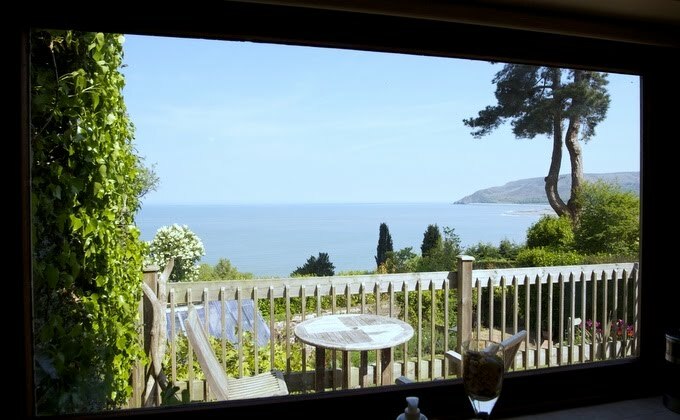 Architect designed, the Coach House offers a 5* holiday cottage experience for those wishing to spend some quality time in the beautiful locale of Porlock Weir. 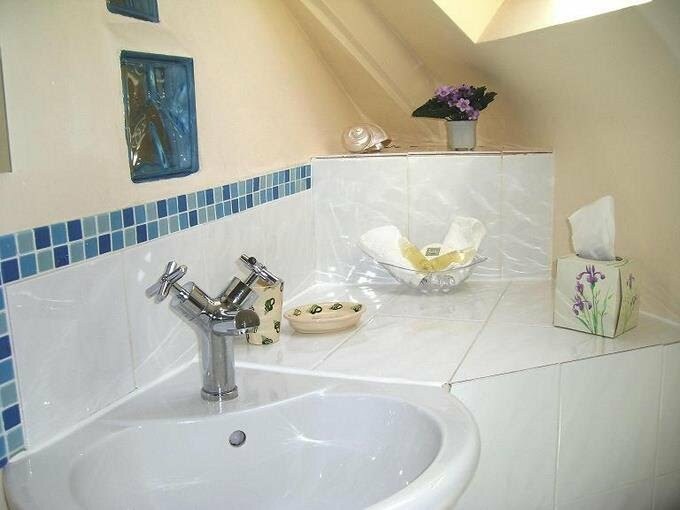 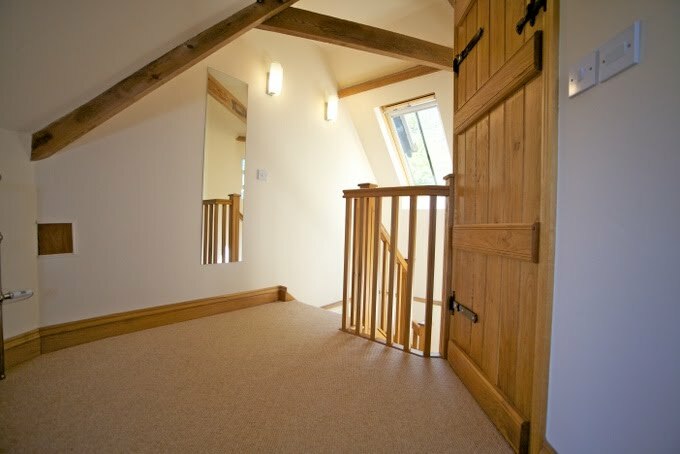 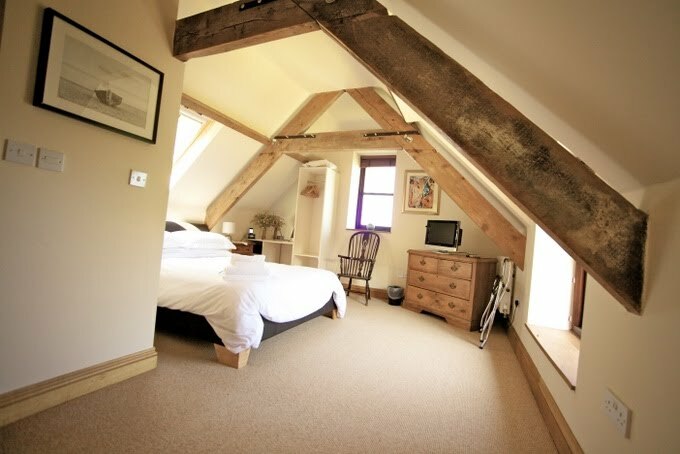 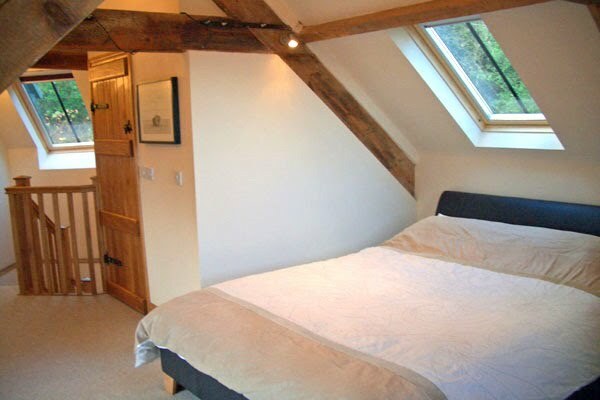 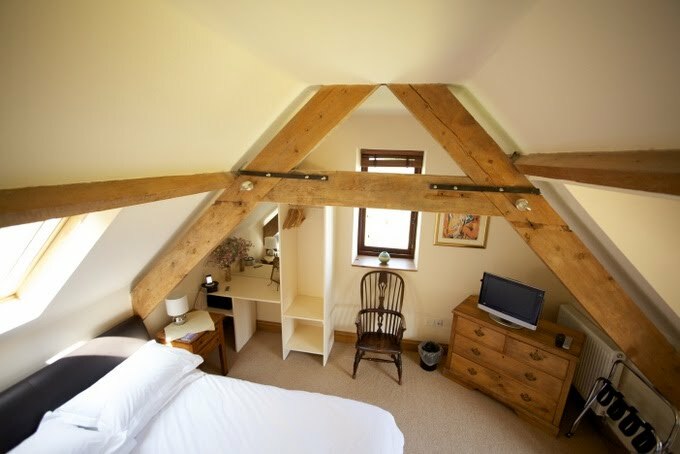 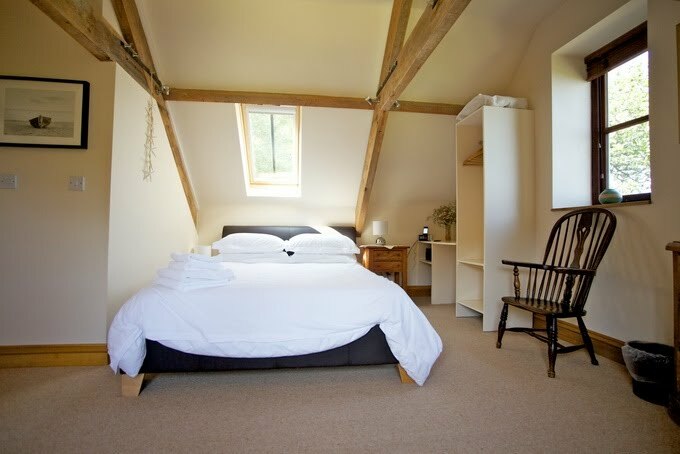 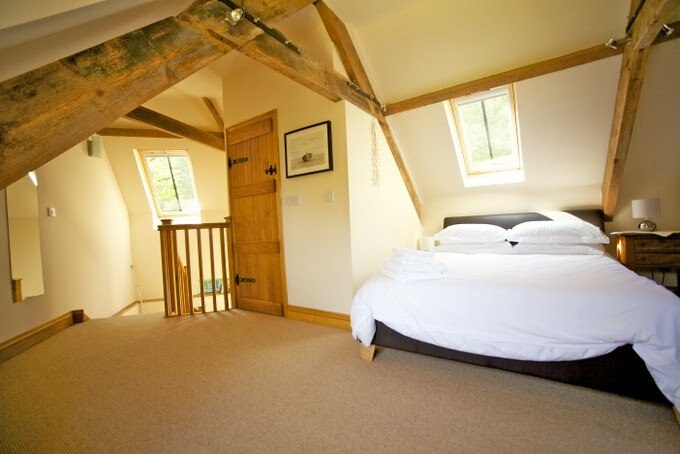 The Coach House accommodation features a light and airy double bedroom with the original exposed beams and tastefully decorated in creams and beiges. 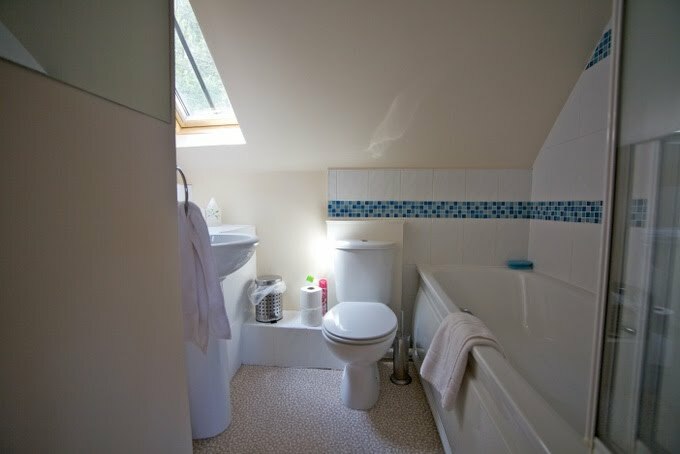 There is a large and comfortable bed beneath a roof window so you can lie in bed and count the stars, plus a luxurious en-suite bathroom. 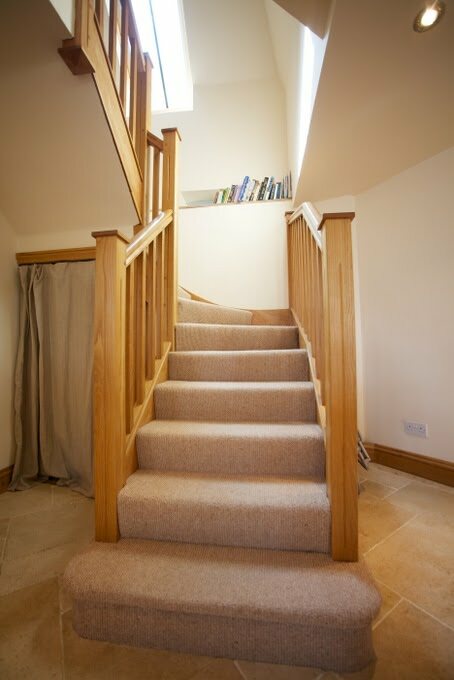 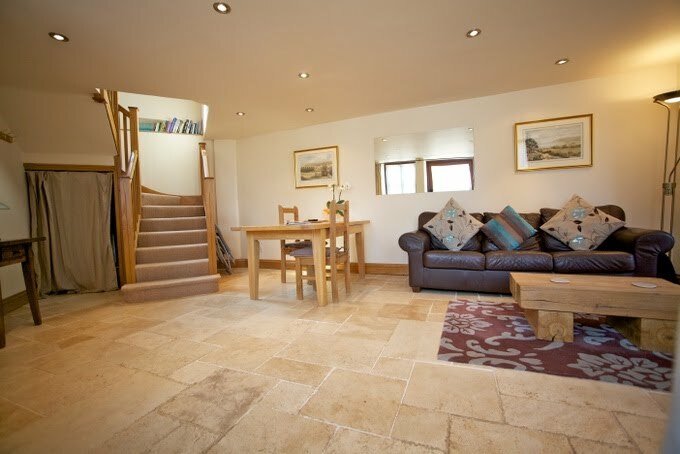 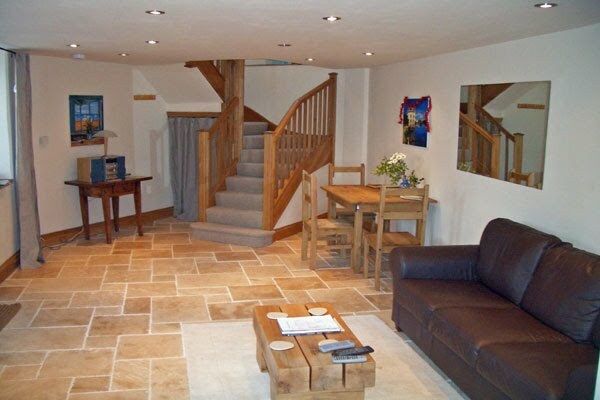 Downstairs is a large open plan living room with a stone flagged floor, comfortable leather sofa, small dining area, a television and CD player. 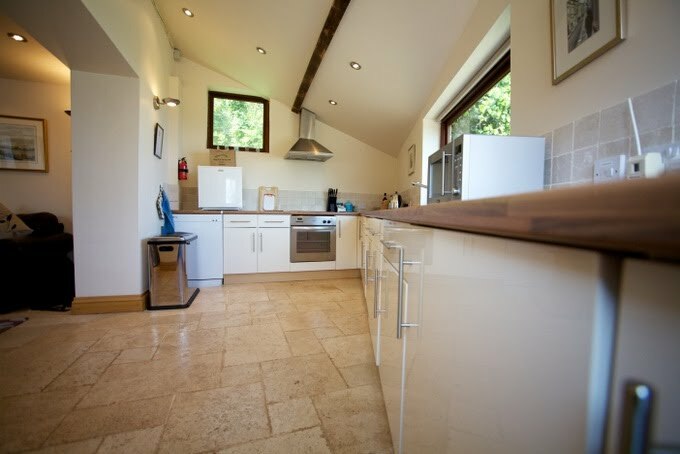 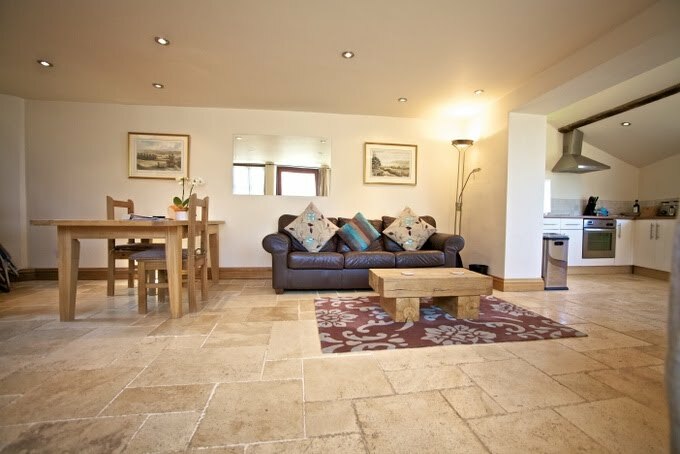 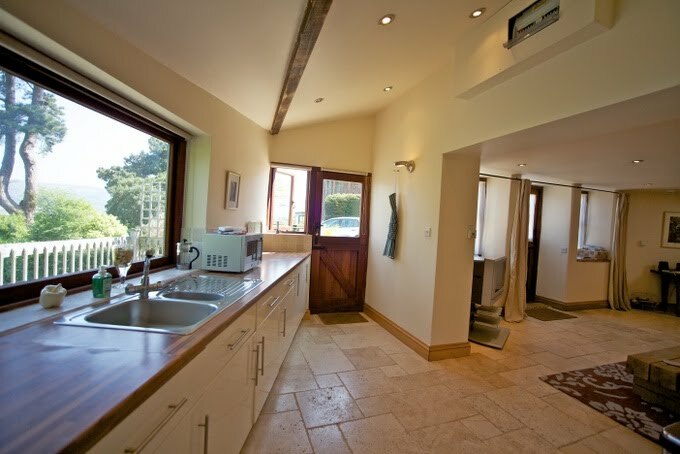 The spacious kitchen is situated adjacent to the living area and is fully fitted with all modern appliances. 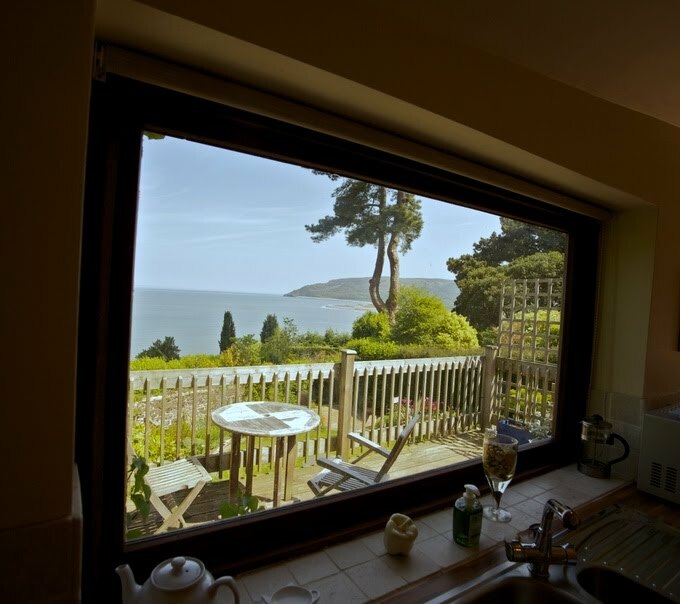 From the kitchen window you can look out and admire some amazing views across the Porlock Bay. 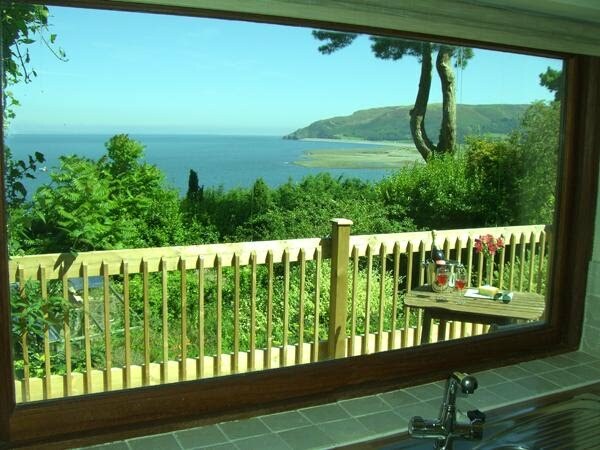 During the summer months, the large decking area and garden located outside the Coach House is the ideal place to relax with a quiet drink and a good book, or you can enjoy a bit of al fresco dining in the evening as the sun sets across the bay.